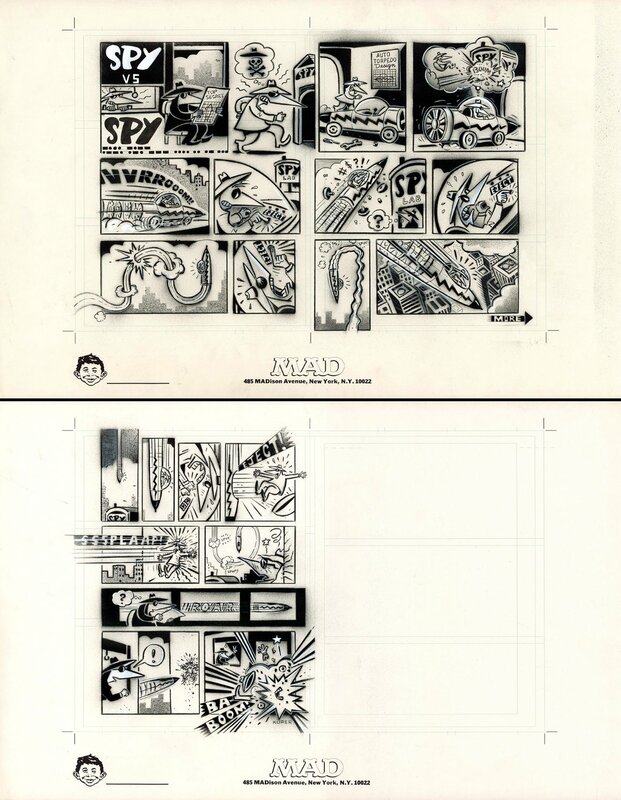 A great three page strip in Peter's trademark stencil style. Black inks with hand drawn finishes on two sheets of paper (2 pages on one piece of paper, the 3rd on another). Pen and ink on paper, 22 x 14 inches each. Excellent condition. Signed by Kuper.